At the Erme Clinic Dr Harker can bring lustreless, damaged skin to life with one of the most advanced exfoliating techniques . 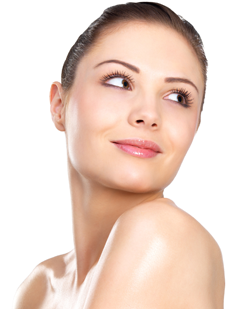 DiamondTome™ is designed to improve a wide range of skin conditions with powerful microdermabrasion technology. DiamondTome™, improves skin quality using a microdermabrasion wand plated with pure nickel and natural diamond chips that are completely safe to use on all skin types. The powerful diamond microdermabrasion smoothes, heals and invigorates the skin acting on superficial blemishes right through to deep-seated sun damage . DiamondTome™ works by polishing the surface layer of the skin. This top layer is called the epidermis, which consists of dead skin cells that protect the skin cells underneath. Although this layer is integral for skin health, frequent exfoliation to remove the cells that build up over time helps the turnover of the skin and its appearance. Clearing the top layer also stimulates newer cells to replenish this layer. If the dead cells are allowed to accumulate they can clog up the follicles causing a coarse, wide pored appearance, unsightly black-heads and white heads (blocked comedones).The skin is more prone to infections, and other treatments such as moisturisers can be prevented from working.Fine lines and wrinkles are more prominent.